The best underdog story at the Westminster Dog Show came to an abrupt end this morning when Fanucci the German Shepherd was pulled out of the competition due to “a hematoma on his left ear that caused it to flop.” Fanucci was a favorite to win his breed, and victory would have capped a tremendous comeback that began when he survived jumping out of a van on the highway back in 2014, and the five-hour surgery that came after. A little blood clot and a floppy ear, however, are enough for Fanucci’s humans to decide that he shouldn’t compete. “We want to show him when he is best,” co-owner Stephanie Schrock said. But come on, Fanucci is of course always at his best, and this only exposes the flawed, strict ways in which dogs are judged in these shows, which prize canines who are physically an “ideal specimen of that breed,” but rarely cares for a dog’s inner beauty. 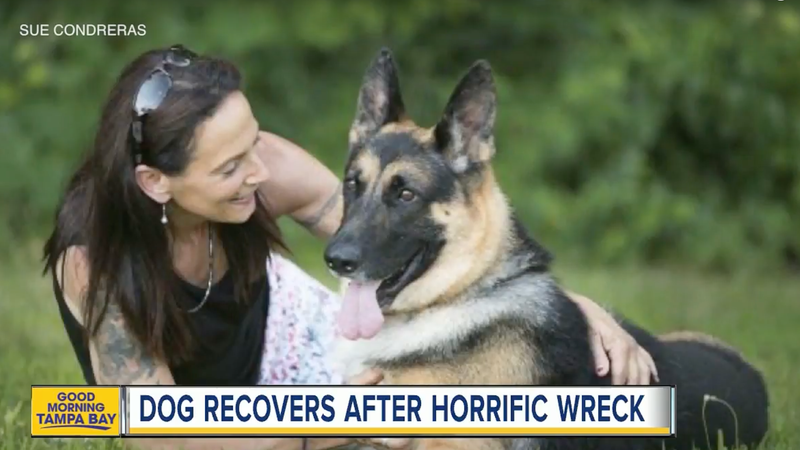 A floppy-eared good boy that survived leaping out of a moving vehicle is a much better dog than some perfect rich pooch that’s probably never faced a minute of adversity in its life, but that’s not what you’re going to see at Westminster.